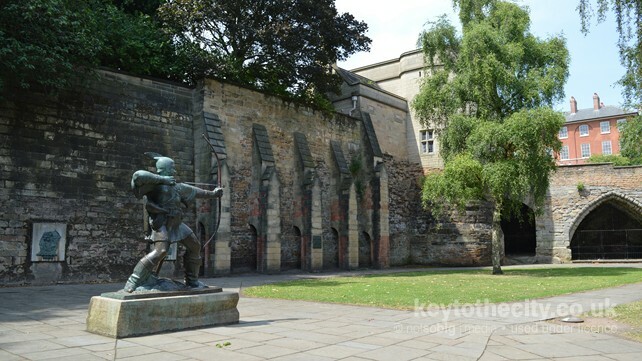 Nottingham is a historic city and is known for the legend of Robin Hood, its underground cave network and for once being at the centre of the world's lace market. In this section we'll give you an outline of how the city works. We think that the easiest way to find your way around a city is to choose a centre point and then divide the city into smaller districts. For Nottingham our centre point is Old Market Square. From here you can get to anywhere in the city centre within ten minutes. We have divided Nottingham into four districts, and each district is divided into smaller chunks too. The areas are: the City Centre, extending from Broadmarsh up to Milton Street and the Victoria Centre with many of Nottingham's main attractions including the Castle and Caves; the Inner City, home to River Trent in the south and The Forest Recreation Ground in the north; the Nottingham Suburbs, the outskirts of the city with good motorway access and ideal for business travellers and finally Nottinghamshire, the county surrounding the city and includes Sherwood Forest and Southwell. For simplicity, we have included parts of other district councils within the Nottingham city region. Just outside of the city centre is Nottingham's business and residential areas. The River Trent to the south is home to the city's sporting stadiums whilst to the north, Forest Recreation Ground is home to the annual Goose Fair. Areas in the suburbs of Nottingham include Wollaton and Beeston to the west, Hucknall and Woodthorpe to the north, Colwick and Carlton to the east and West Bridgford and Clifton to the south. Map showing our centre point for Nottingham. Use the links below to view Nottingham on popular mapping websites.